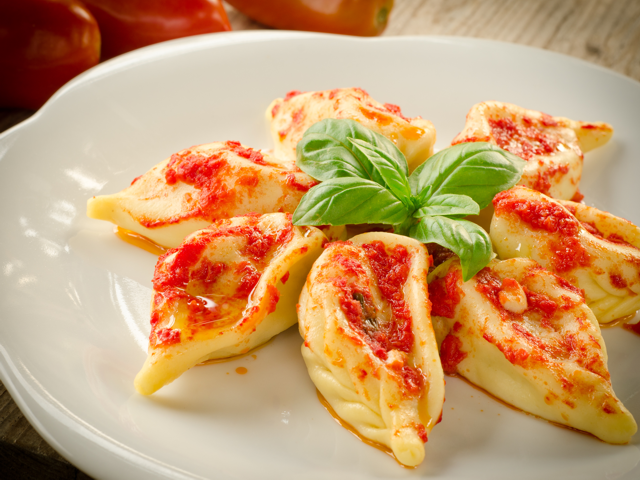 Discover Sardinia with our yummy 8-day culinary tour! This versatile trip, which is perfectly suited for gourmets, will bring you to 3 luxurious hotels. 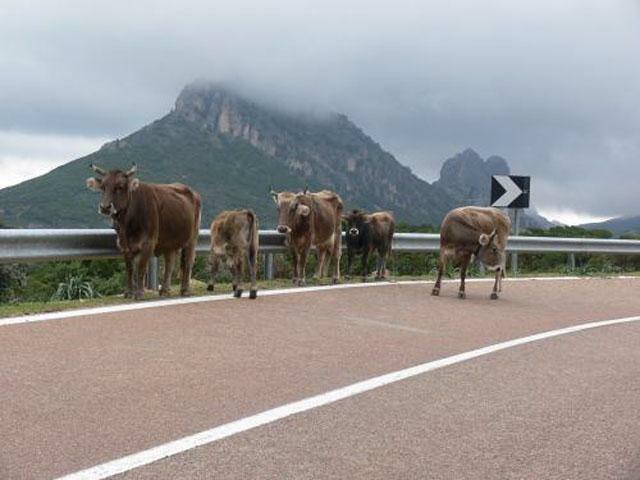 Besides relaxing and enjoying the tasty Sardinian cuisine, the tour enables you to explore the area along the way as well. This 8-day tour by (rental) car includes seven nights’ half board in 3 charming accommodations with pool. The 8-day tour Culinary Sardinia is perfectly suited for travellers wanting to explore not only the various Sardinian highlights but also the culinary local delights! The round trip starts in Arzachena, ca. 25 kilometres north of Olbia Airport. The territory of the commune of Arzachena stretches for a surface area of around 228 km² and includes a spectacular coastline of approximately 80 kilometres filled with countless bays and beaches. 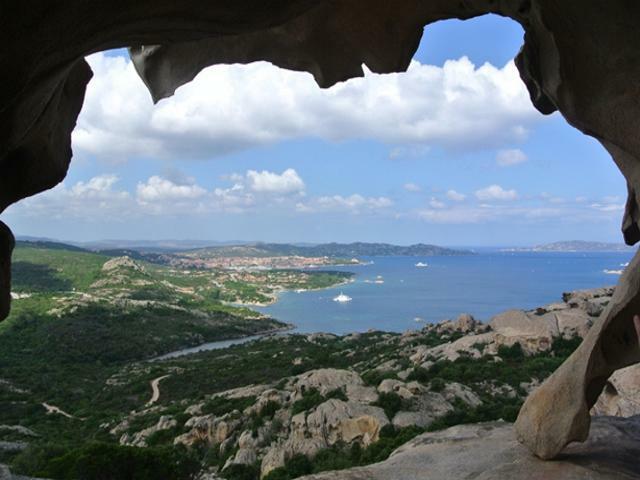 When visiting this area, neighbouring the famous Costa Smeralda, you’ll be surprised by the many impressive rock formations, such as the Bear Rock; a massive cliff of red granite sculpted by the wind resembling a bear. The area is known for the presence of “stazzi”, rectangular houses in Sardinian granite, consisting of 1 or 2 rooms, originally used by shepherds as a stopover or shelter on their journeys. Through the years most of them have been transformed into houses or agriturismi. Arzachena is renowned for its many archaeological sites, such as the Necropolis Li Muri, the Tombe dei Giganti of Li Lolghi, Nuraghe Prisgiona and Coddu Ecchju. Because of its strategic location Arzachena is the perfect base for a journey of discovery through the north; the La Maddalena archipelago, the Surrau winery and Calangianus, the so-called "cork capital", are all definitely worth a visit. 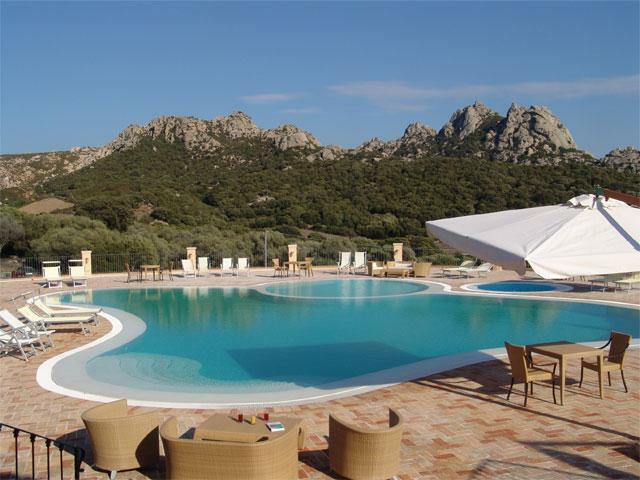 You'll spend 3 nights in Hotel Parco degli Ulivi, a charming accommodation with pool, located in a stunning area in north Sardinia. The culinary highlights will make for a delicious start of your tour! To truly experience versatile Sardinia, you'll be travelling southwards to the village of Nuoro, capital of the eponymous province. 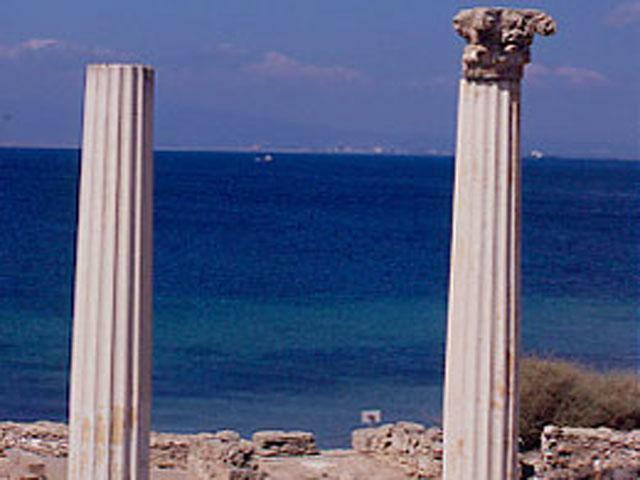 Through the years neither the Romans, Carthaginians nor any other foreign conquerors have succeeded in invading this area, because of which it's been able to develop its own culture. Nowadays Nuoro's unique folklore and traditions are still visible during the festivities in the local villages. The next 2 nights you'll be staying at Country Hotel Su Gologone, an accommodation in a spectacular location, where the rugged nature, local traditions and excellent cuisine are in perfect balance. We recommend exploring the exhilarating hiking trails in the mountains, visiting the famous well Su Gologone as well as the beautiful coastline of Cala Gonone, including a boat trip to the Bue Marino Caves and the hidden Cala Luna beach! After breakfast you leave for Oristano, a village on Sardinia's west coast, where you'll be staying on the estate of Is Cheas, far away from mass tourism. The charming Is Cheas has an excellent restaurant with outdoor terrace, where you can enjoy the tasty cuisine known for the use of local products and high quality wines. This area is characterized by a pristine landscape, high plains, mountains and numerous beautiful beaches. 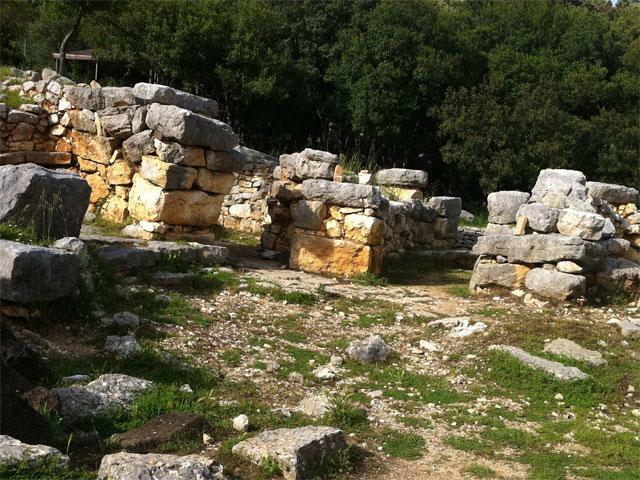 Oristano is within easy reach, as well as the Phoenician town of Tharros, the fishing village Cabras, the famous Nuraghe Su Nuraxi in Barumini and the high plateau of the Giara di Gesturi. The beautiful coastal route via Bosa to Alghero is definitely worth exploring as well! The beloved Parco degli Ulivi, an authentic country hotel with pool, is located in the beautiful area near Arzachena in north Sardinia. This strategically located accommodation is surrounded by centuries-old olive trees. From here both the beach and the city centre are within easy reach. The 4-star hotel Parco degli Ulivi is located at just 2,5 kilometres from the city centre of Arzachena and at 6 kilometres from the popular village Cannigione. It consists of 3 country houses built in wood, stone and granite. These materials and the handmade decorations will make sure every guest experiences the Sardinian tradition and ambiance. The Parco degli Ulivi estate consists of 30 hotel rooms divided over 3 villas. 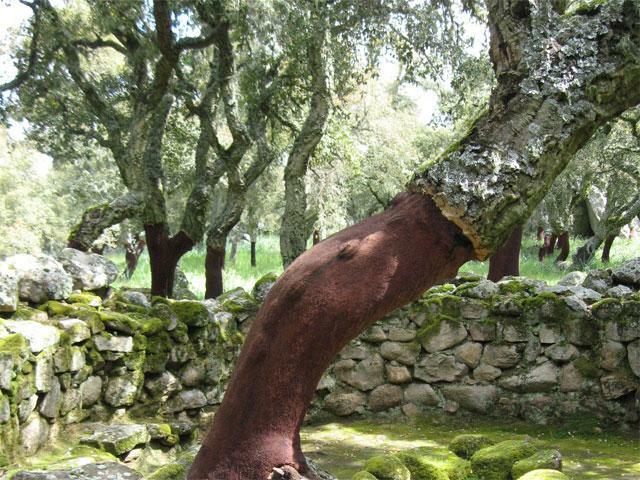 The centuries-old olive trees here will ensure your privacy. The rooms have been decorated in a rural, traditional style. All comfortable rooms feature a private terrace or balcony, air-conditioning, central heating, flat screen TV, dvd and cd player and a minibar. The bathroom is provided with a hairdryer. At Parco degli Ulivi you can book a standard or deluxe room or a spacious 4-person suite. After a day filled with cultural activities in the area near Arzachena or a sportive day at the beach at Cannigione, Parco degli Ulivi is a lovely hotel to come home to. You can relax in or by the hotel’s pool with hydro massage or at the bar with a tasty aperitif after an eventful day. At night you can book a table in the hotel’s excellent restaurant that has a panoramic outdoor terrace, where the creative chef will make sure you enjoy the delicious local dishes. During a stay in Hotel Su Gologone, located in the heart of the island, you will discover the traditional Sardinia. Enjoy the warm ambiance, the spectacular cuisine, the relaxing wellness facilities and the typically Sardinian traditions combined with a touch of luxury in a romantic setting. The beautiful Hotel Su Gologone is located strategically in the Barbagia area in central Sardinia. 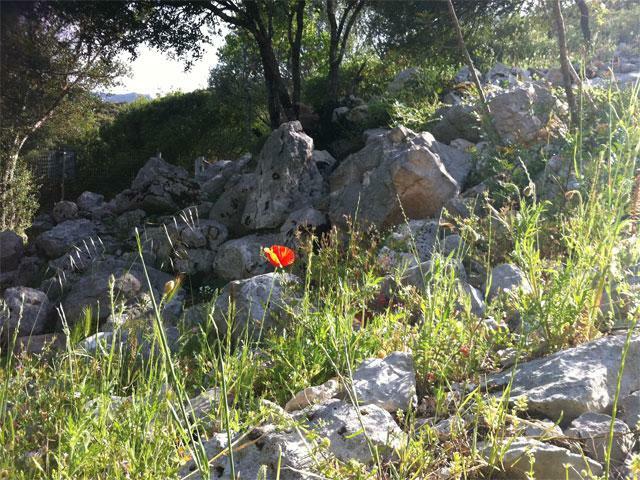 This accommodation, hidden in between Oliena’s olive groves and vineyards, is located near the spring of Su Gologone. 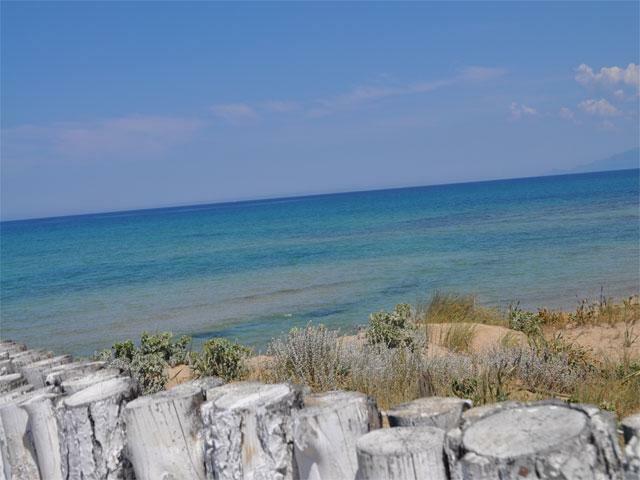 Su Gologone is a perfect base to explore numerous hiking trails or visit the eastern coastline by car. You can visit the “Nido del Pane” where the traditional breads are baked. Once a week “Sa horte e su Re” opens its doors to take you back in time during an unforgettable culinary journey. The menu here consists of traditional dishes from the Barbagia cuisine. You can enjoy an informal “antipasti” dinner in the cellar or book a cheese, olive oil or wine tasting at the wine bar. After dinner you can relax on the terrace under the starlit sky whilst enjoying a tasting of various liquors or homemade herbal tea or listening to the musical entertainment organised by the hotel. Su Gologone is a romantic haven. The 68 elegant rooms are decorated with antique furniture, Sardinian fabrics, juniper wood, paintings and ceramics made by Sardinian artists. The hotel has Standard and Deluxe rooms and spacious Junior Suites and Suites. Each room features air-conditioning, a minibar, TV and bathroom with bath or shower and a hairdryer. Depending on the room there’s a private terrace or balcony as well. You can relax completely in the small Spa after an intensive day in nature or at the beach. Enjoy a myrtle massage or honey facial mask or bubble away in the Jacuzzi. A refreshing dive in the outdoor pool or a work out in the fitness room will definitely boost up your energy levels again! The stunning agriturismo Is Cheas in west Sardinia is run by the young couple Juan Carlos and Francesca, who bought an estate near San Vero Milis to make their life-long dream come true; to build a sustainable agriturismo and to indulge their guests, staying in truly unique rooms, with pure Sardinian dishes made of fresh and local products. 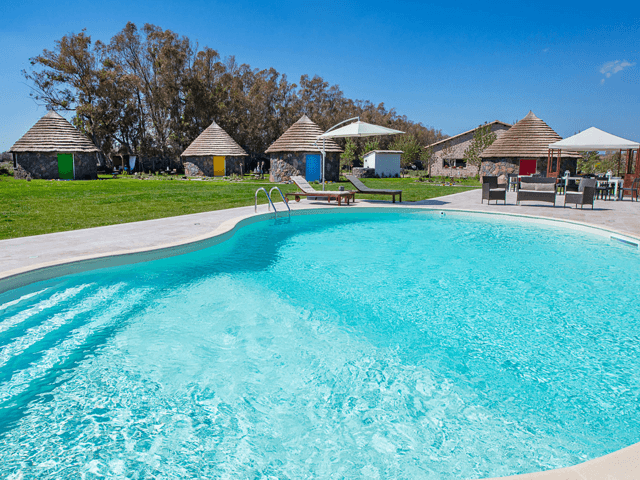 Is Cheas is a sustainable and eco-friendly agriturismo, located in the tranquil country side of San Vero Milis in the province of Oristano. During your stay in this authentic accommodation you can truly relax. The dishes served in the restaurant are prepared exclusively with local products that are in season. The agriturismo overlooks the vineyard. The couple running the accommodation grows many vegetables, herbs, citrus fruits and mushrooms. Host Juan Carlos has another passion; taming horses in a natural way. Should you like to learn more about his hobby, please don't hesitate to ask him, for he loves to tell you more about his horses. The agriturismo consists of 4 beautiful shepherds huts, so-called Pinnettas. 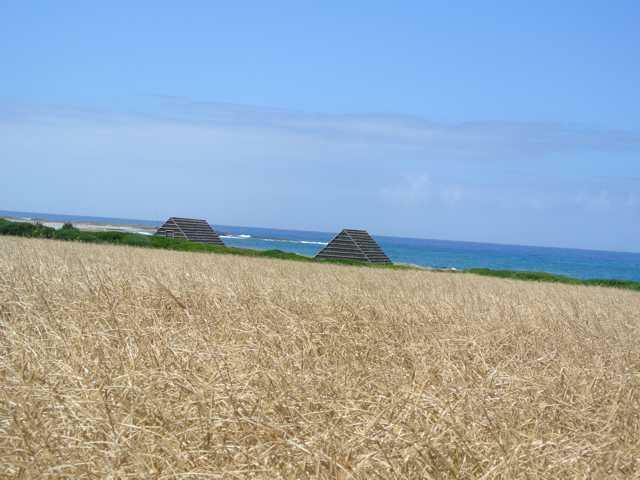 These typically Sardinian huts are eco-friendly and built with local products, such as basalt blocks and sheep wool, which serves as isolation. The cosy and comfortable huts all have their own colour scheme and name. Depending on the hut, it can accommodate 2 - 4 guests. Overlooking the pool and the vineyard, all huts feature a private bathroom and air-conditioning. Book your round trip with discount! After a short trip through the rugged nature of Dorgali by Jeep you'll first sail to the embankment where the Cedrino river merges with the Cedrino lake. Here's a stopover to visit to the Church of San Pantaleo. Only accessible by boat, the church has recently been restored completely. After a short stop the boat excursion continues and you will be able to enjoy the spectacular view and total silence, interrupted only by the sound of the birds. With the binoculars which you will receive upon departure, you can spot numerous bird species along the way. A second stopover will be at the Grotto del Guano. Provided sufficient rainfall has taken place during the winter months you can visit the Su Gologone spring by boat. After a visit to the source, a walk and a cup of coffee you will return by boat. From Bucchi Arta you'll follow a panoramic route by Land Rover to the beautiful beach Cala Luna via the characteristic shepherds' huts of Caprai, immersed in the pristine and rugged landscape. You will continue to Cala Luna on foot via the the "Scala S'Arga". During a stop on the beach delicious local products are served. A rubber boat will bring you to the final destination of this amazing tour. The canyoning route leads via impressive walls and cliffs of the small gorge of Codula Fuili, which ends on the eponymous beach. The path consists of 4 stages, the last of which has a descent of more than 20 metres. • In the summer months we recommend bringing your bathing suit and a towel (to dive in the water afterwards). 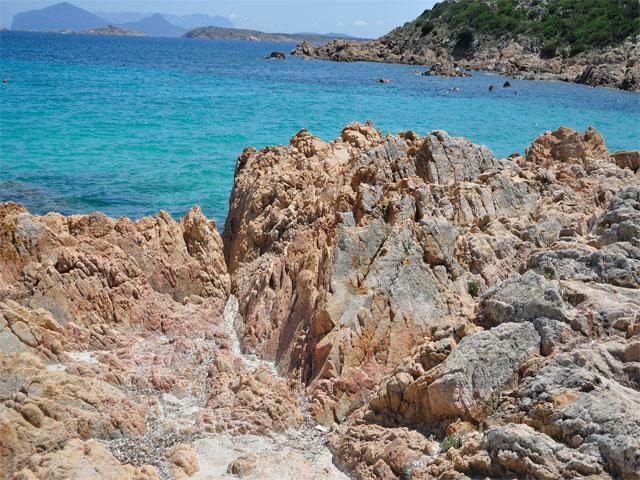 Would you like to spend your holiday in the beautiful waters of the Costa Smeralda? Dive with PADI Dive Center and discover the beautiful underwater world of the Mediterranean. Enjoy your first diving experience with a Discover Scuba course. After a safety briefing and explanation about the dive and the equipment, you'll dive for the first time. During the dive to a depth of max. 6 meters, you will learn how to breath under water and explore the underwater life. • The diving excursions are suited for both beginners and advanced divers of 10+ years old. • The excursions take place in different areas and the availability depends on the number of participants and weather conditions. • Minimum number of participants per tour: 5 people. We hebben overnacht in 3 mooie hotels en daar 's avonds ook heerlijk gegeten. Zeker Su Gologone is een absolute aanrader! Leuke combi reis om iets meer te zien en te genieten van het lekkere eten.